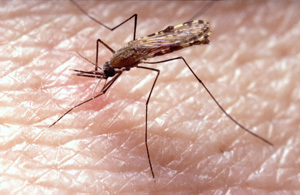 A malaria vaccine administered to children aged 5-17 months has been shown to provide an average level of protection of 46% against clinical attacks of malaria 18 months after vaccination, according to a study published in PLOS Medicine. The latest report from a large trial of the RTS,S vaccine, which involved researchers from the London School of Hygiene & Tropical Medicine, studied infants and young children who were vaccinated between the ages of 6-12 weeks or between 5-17 months, and describes their health after an 18-month period. In addition to nearly halving the number of clinical malaria cases overall in the older age group, the vaccine also appeared to be 45% effective against severe malaria and 41% effective against malaria hospitalisation. The vaccine was less protective in those vaccinated early in infancy. For the first time, the study also presented the individual findings from each of the 11 sites in seven countries of sub-Saharan Africa where the trial was conducted. The results showed that the efficacy of the vaccine in the region varied widely, from 77.4% in Kilifi on the coast of Kenya to 41.1% in Nanoro, Burkina Faso. However, it was also found that the vaccine’s highest impact was in areas with the greatest malaria incidence. The study also found that meningitis was detected more frequently among older children who had received the vaccine than among those who had received a control vaccine. While the number of cases found was small and may have been a chance finding, the authors say this is a concern and warrants detailed surveillance for meningitis if the vaccine is deployed on a larger scale. Results from a further follow-up period of 16-30 months will be available around the end of 2014, and a dossier on the vaccine has been submitted to the European Medicines Agency for review, with their opinion expected in 2015.